LH Funding Corporation provides funding solutions to personal injury plaintiffs. We assume the risk that if there is no recovery from the pending lawsuit, the client will not owe LH Funding anything. This is called non-recourse funding. THIS IS NOT A LOAN. Unlike a loan, if you lose your case you do not owe LH Funding anything. LH Funding is a trusted New York lawsuit funding company. 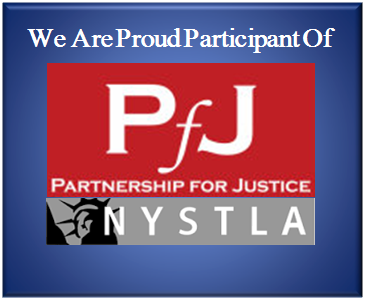 We provide cash advances to plaintiffs throughout the state of New York. We are committed in offering clients with cash advances at competitive rates. The process of obtaining cash funding with LH Funding Corporation is easy and hassle-free. If you want to apply for a cash advance, start by either completing our ONLINE APPLICATION FORM or directly calling us at 516.216.4353 or 800.260.0419. Our staff will handle the rest of the process, which include obtaining necessary documents from your lawyer. Once we receive these documents, we will immediately evaluate them and once qualified, you will receive your money within 24 hours. NO RISK OR UPFRONT FEES – PAY ONLY IF YOU WIN YOUR CASE! When looking for a plaintiff cash funding company in New York, it is important to check whether that company provides a non-recourse advance or not. This means you only pay back the amount owed if you are successful with your compensation claim. With LH Funding, we offer a no-out-of-pocket advance funding. What are the benefits LH Funding can offer? Offers cash advances to plaintiffs involved in all different types of cases, including but not limited to motor vehicle accidents, construction accidents, personal injury, slip and fall, premises liability, etc. If you need immediate cash, call LH Funding Corporation for a faster funding approval! 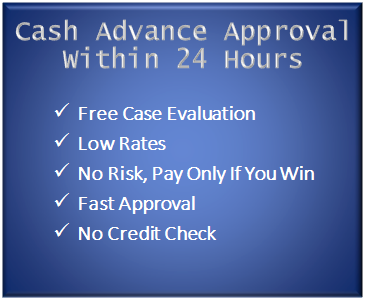 We can get you cash advance in 24 hours. Call us at 1-800-260-0419 or 516-216-4353.